Oh dear. 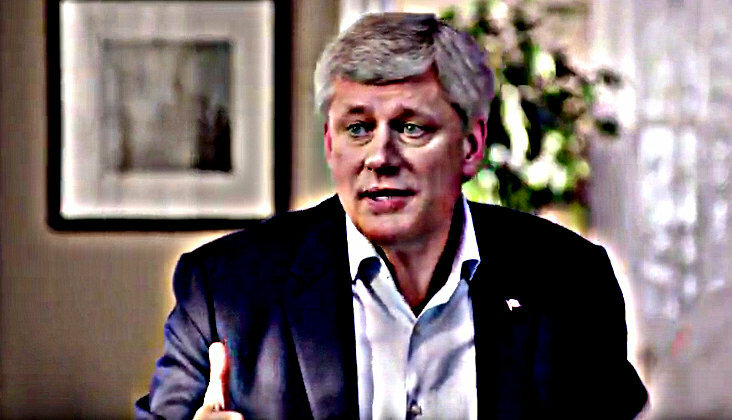 I see that Stephen Harper had to take the day off on Saturday. No doubt to try to recover from the brutal effects of the long campaign he inflicted upon himself. And get a full spa treatment. Every day he looks more bagged and more desperate. But who can blame him? When he probably can’t sleep at night thinking about how he might soon be humiliated by the Son of the Anti-Christ, the spawn of the Great Satan, Justin Trudeau. And with good reason. With only eight days to go before the election, polls like this one must give him nightmares. A Forum Research survey released Saturday found support for Justin Trudeau’s Liberals has increased to 37 per cent, while Stephen Harper’s Conservatives are steady at 31 per cent. 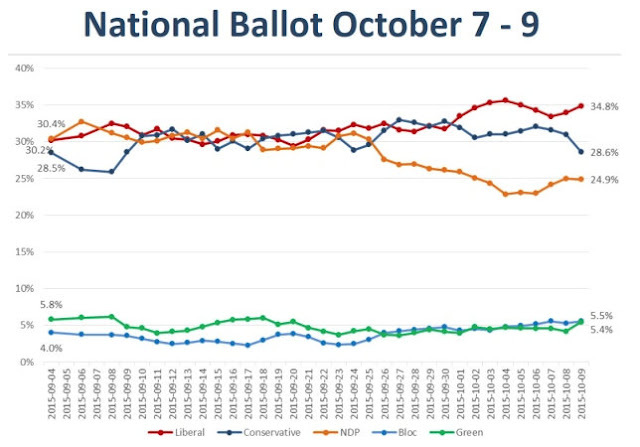 Less than a quarter of respondents, or 23 per cent, said they preferred the NDP. And so must this one. Because they both suggest that his long campaign to destroy Justin Trudeau has in the end failed miserably. 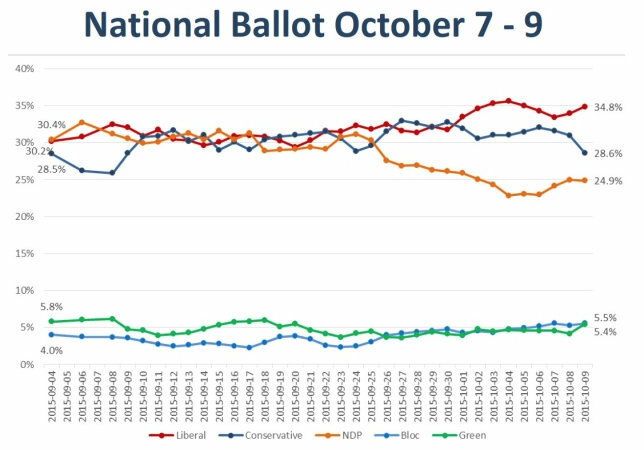 Trudeau might now have the momentum to destroy HIM. And the only thing more painful than that must surely be the growing realization that there’s not much he can do about it. 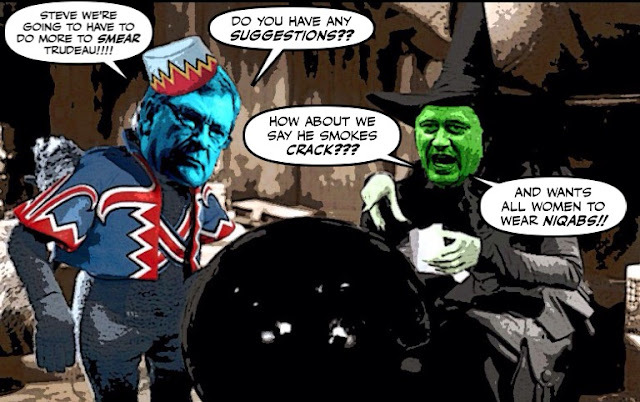 And maybe they will, for Crosby will do anything for money, and Harper is crazy desperate. 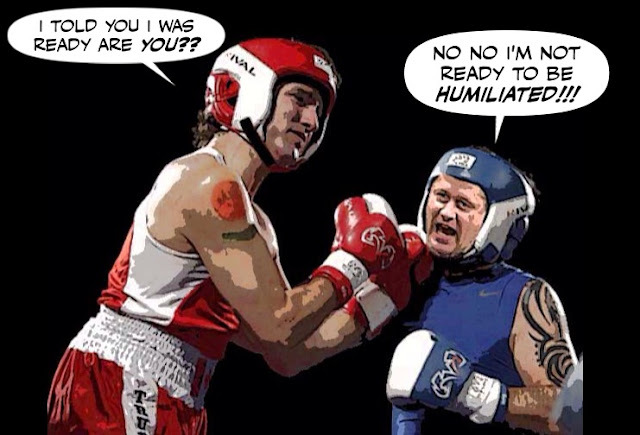 But sadly for them, history has shown that the more vicious the attack ads they fire at Trudeau. The more they hurt themselves. That campaign also lost its sting when, as the Toronto Star editorialists point out in this endorsement, he did prove he was ready. Finally, with Trudeau as their leader, the Liberals offer generational change. Instead of folding under the Conservatives’ relentless attack on him as “just not ready,” Trudeau has shown in toe-to-toe debates that he can indeed hold his own with older and more experienced politicians. In short, he’s ready. And all I can say is that although I’m still planning to vote for the NDP, in the hope that they can work with the Liberals in a coalition government, or whatever they want to call it. 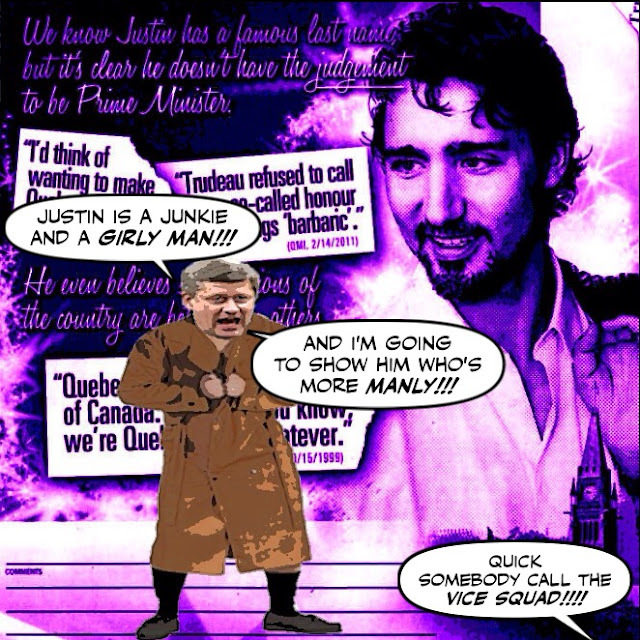 I have to give Justin Trudeau full marks for surviving the Con bullies, and looking like he’s going to beat them. There is no higher achievement in my book. 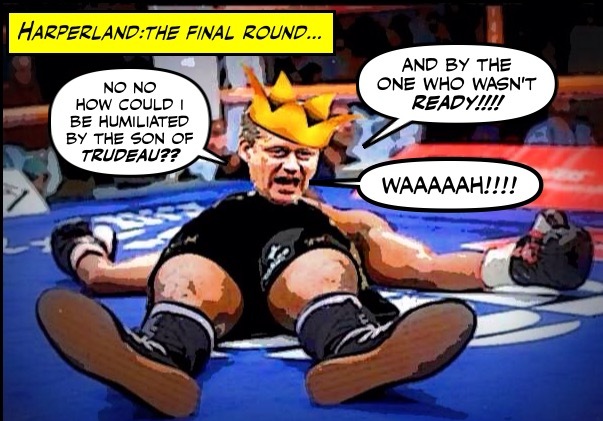 And since I know that there could be NOTHING more painful for Stephen Harper than being beaten by the Son of Trudeau. And after what he has done to Canada his pain is my pleasure. I just want to say go Justin go. Thanks you just made my week.This is hysterical!